Samantha Ryan had long ago denied her witch nature as the magic too easily turns to the dark side. Yet when an evil coven tried to take over Salem, she was forced into using magic once again. She prevailed, but now has to live with the fallout as her former colleagues at the Boston PD cannot accept her for who she is. So, she's traveled to San Francisco to get a fresh start and once again escape her past. But leaving magic behind just isn't in the cards for Samantha as a dark coven starts wreaking havoc as earthquakes plague the area. Samantha knows it's only a matter of time before the destruction causes a death toll unlike they've ever seen before. So she'll once again have to embrace the darker side of herself if she's to have any hope of stopping the evil she can sense on the horizon. I really love Samantha's character. She's just so damaged, terribly powerful, and rather confused, yet she also has an iron will plus a determination to keep from slipping back into a path of evil. In THE LAST GRAVE she's still struggling with herself and the seductiveness of magic. Yet, I think she's started taking steps in the right direction as she's trying to accept that magic is part of her life, it just doesn't have to be an evil part. As long as she can resist letting it consume her, she can use her powers for good, which in the long run will be healthier than trying to cut herself off completely. She's already tried that once, and as soon as magical danger hit, she was almost defenseless. So, embracing the magic is definitely the best path for her. That's not to say that path will be an easy one, as several times in THE LAST GRAVE, her will was thoroughly tested, and she did falter. But what makes her truly admirable is that with each setback she picks herself up and gets right back on the path towards completely denying evil. That's a true test of strength in my opinion; the ability to overcome failures, and Samantha more than proves her worth. I'm not usually one to read horror novels as I do not like to be scared. At all. In fact I'm a big baby about it. So I have to admit that I was a little bit hesitant to read THE LAST GRAVE as the first book definitely brought the creepy and I wasn't sure if my nerves could handle it a second time. However once I started reading THE LAST GRAVE it became obvious that I wasn't going to be quite as scared out of my wits. That's not to say that the story was any less compelling or gripping, I just wasn't quite so terrified this time around. Perhaps that is because I've seen Samantha survive the first coven or it could be because she's starting to use more magic, and therefore more powerful, so I wasn't quite so scared for her. But whatever the reason, I have to say that I was glad for this reprieve in the scariness as it allowed me to really enjoy the plot without my nerves being an utter wreck. 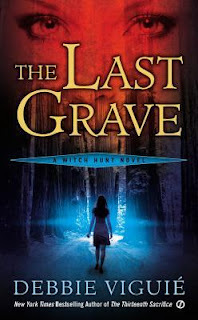 Intermixed in with the main plot was "The Last Grave" sideline, which honestly took up as much of my attention as the main evil Samantha was facing. I just had this sense that "The Last Grave" part was going to play a larger part in the grand scheme of things, so I was rather preoccupied with finding out what it meant. Despite all of my ruminations, when it was finally revealed, I was caught completely off guard. It definitely will be a game changer and because of that, I am simply desperate to get my hands on the next installment. I still really cant wrap my head around what this means for Samantha, but I have a feeling the creepy factor will be ratcheted up yet another notch. Which of course, worries my inner scared little girl, but it also makes me eagerly anticipate the ride. But getting back to book at hand, I'm very impressed with this latest installment. 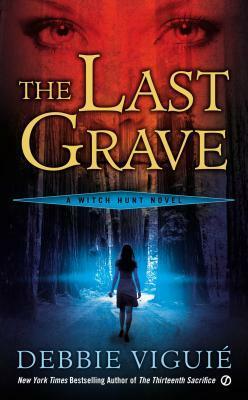 An incredibly thrilling ride full of suspense and danger, THE LAST GRAVE is not to be missed!